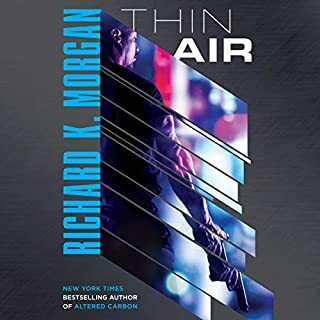 With Thin Air, Richard K. Morgan returns to Mars, as it was depicted in 13 (Black Man), but some time later. When I first noticed a new narrator I was worried, but Colin Mace does a great job. Any fans of 13 (which I consider Morgan’s most important work) will enjoy this book, and notice themes that are familiar, but not rote. Morgan’s got a talent for vivid depiction of urban bleakness- and that’s on full display here. It’s a complex plot to put it mildly- but that’s one of the reasons Morgan’s books are great re-reads, or re-listens. 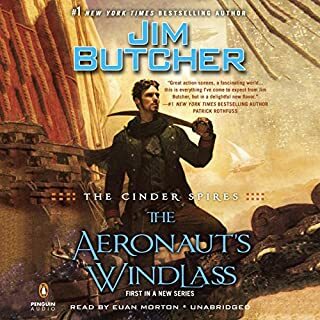 Anyone who's read the Codex Alera series has been waiting for Jim Butcher to take on another series. I'm still pissed at you Jim for making me wait, but this delivers. That sort of makes up for it. Smart, inventive, funny and gripping, this is a great story. Great reader as well. AND CATS!